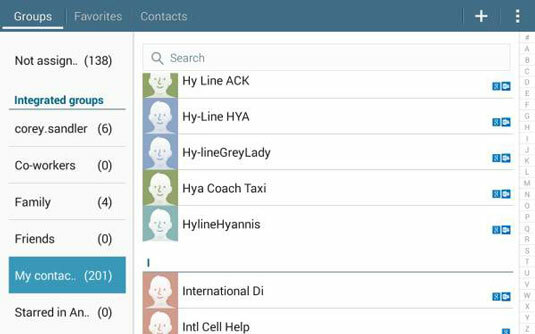 It’s quite easy to end up with two, four, six, or more duplicate entries in your Contacts listings on your Tab 4 NOOK. You might have made an entry for your friend Jack Smith under “Smith, Jack” and “Jack Smith” and “John Smith,” for example. 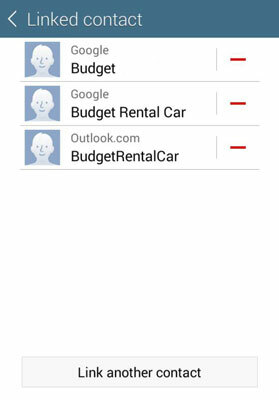 Or you might have identical name entries but differing email or phone information in each. Because the Galaxy Tab 4 NOOK can grab contacts from Google and Samsung and Facebook and Twitter and more, dupes are quite common. Open a contact that has duplicate entries. The Connection section tells you the source of that entry. In the Connection section, tap the link (chain) icon. Tap Link Another Contact (at the bottom). The tablet sees if it can determine a likely duplicate and lists it under Suggestions. Tap a duplicate entry to link it to the original. If necessary, tap Link Another Contact again, and make further links. You can link as many as ten entries. Press the Back key when you’re done linking.